Wine is a popular beverage, typically made of fermented grape juice. 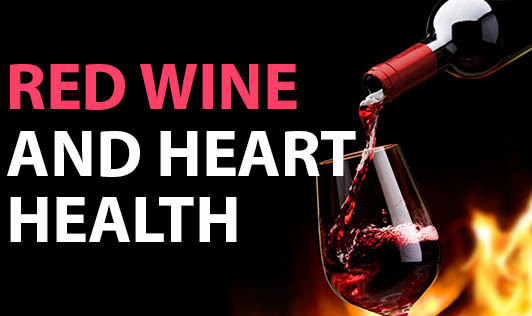 Drinking red wine has been portrayed by the media as a means of combating heart disease. Do these claims have any real medical benefits? Let's find out. Many studies, which investigated the benefits of red wine, suggested that moderate consumption of red wine lowers the risk of heart attack for people in middle age by 30 to 50 percent. Other studies also indicated that it can raise HDL cholesterol (the good cholesterol) and prevent LDL cholesterol (the bad cholesterol) from forming. It may help prevent blood clots and reduce the blood vessel damage caused by fat deposits. Red wine is particularly rich in antioxidants (Resveratrol and Flavonoids). Resveratrol, found in grape skin and seeds, increases the HDL cholesterol and prevents blood clotting. Flavonoids, on the other hand, have antioxidant properties that prevent blood clots and plaque formation in arteries. So, should I start drinking more Red wine now? The answer is ‘No'. Studies have also shown that consumption of alcohol may increase triglycerides (another blood fat that contributes to heart disease) and result in weight gain due to its empty calories. Alcohol, especially in excess, can alter the brain activity; can also affect the concentration and reflexes. Alcohol is a diuretic and hence dehydration almost always accompanies excess drinking. The key to obtain the benefits of red wine is drinking in small quantities. Excessive or binge drinking however doesn't produce the same effects. without consuming alcohol, you can include grapes and many more fresh fruits and vegetables in your diet. This will save you from the ill effects of alcohol. So, when it comes to drinking red wine: more is not better.